Although you’ve likely heard the term “buyer persona” before, you’re probably a bit more familiar with the term “segmentation,” especially if you’ve been following this blog for some time. In fact, just to make sure I wasn’t reinventing the wheel, I searched our blog for posts on the topic “buyer persona” and came up with nothing! The closest related post I could find was about segmentation, which is similar but contains some subtle but important differences. A segment can be made up of life cycles, sales stages, or persona, behavior, demographic. Therefore a buyer persona might be a market segment of your business, a segment isn’t necessarily always a persona. So, how do you define a buyer persona? A buyer persona is a semi-fictional representation of your target customer based on research and data about your existing customers. 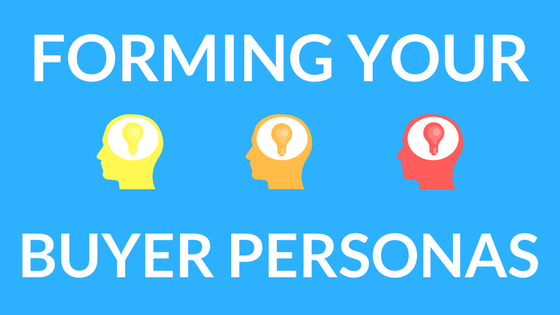 Why should you form buyer personas for your business? 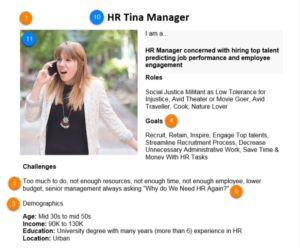 Detailed buyer personas will help you determine how to manage your time and energy, modify your offerings, and communicate with your entire company across departments. As a result, you will be able to identify and attract the most valuable leads, turning them into loyal customers of your business. Check out HubSpot’s great example to get your creative juices flowing! We know no one likes homework, but we highly encourage you to sit down with some of your most tenured business leaders and partners to form 2-3 personas for your business. Stay tuned, we’ll be moving onto the action piece of this topic in our next post!